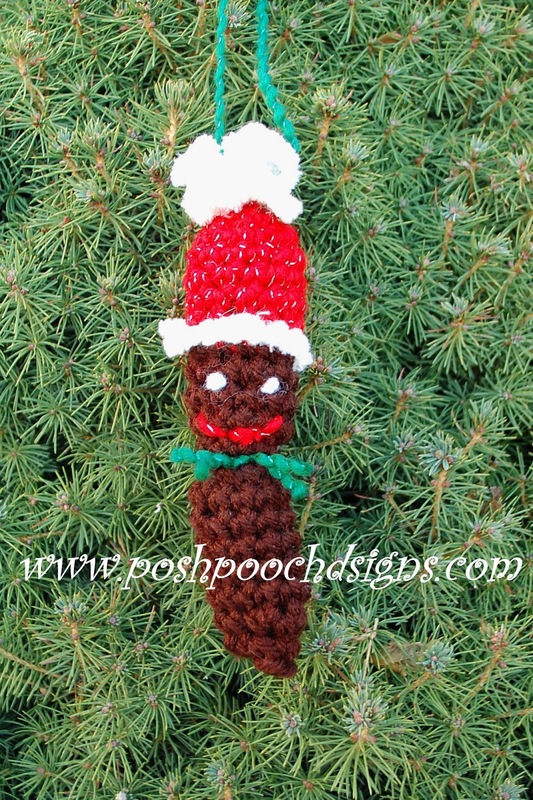 Posh Pooch Designs Dog Clothes: Dog Poop Christmas Ornament...REALLY! on the front lawn doing 'Dog Poop Patrol"
with my Grand kids who are 3 and 4 yrs old. putting it in the bigger trash bag. Dog and Animal Rescue fund raisers. It is a great Seller! It is a fun "Gag" gift for any one who has small pooches like me. starting from the Santa hat tip. R : 5 -7 Repeat R : 4, Stuff the hat. R : 9 -21 - Repeat R : 4 - stuff the poop section. tie off pulling the extra yarn inside. Trim: Thread a 12 inch piece of fuzzy white yarn on your needle. through the loop and tie. I didn't cut mine, but you can if you want too. Use the 2 long ends to attach to top of hat. Stitch 2 French knots or short stitches for the eyes With the White yarn. Stitch a smile on with red yarn. and tie them around the poop, so it pulls in and form a head. Tie in the front and trim. Cut another 12 piece of green yarn and loop through the hat to form the tie. first ornament on the tree! Keep your negative comments to your self. This pattern just came up on an email from Hooked on Crochet. I KNEW it had to be from you!!! The link took me right to Posh Pooch. Our oldest Granddaughter is getting this mailed to her as soon as I hit my yarn stash. She is doing courses for dog training. LOVE IT. yes, its a great gag gift for dog lovers!!!! Love it. Reminds me of Mr. Hankey the Christmas poo from South Park. I am making this for my son. He will LOVE it. This is too funny! 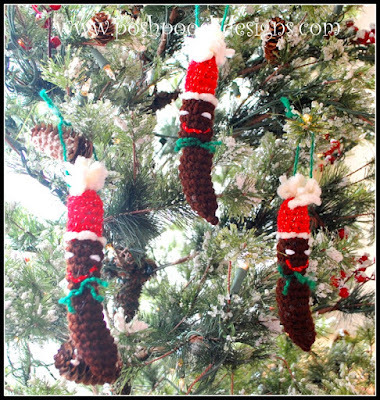 I am sorry if this crochet pattern is offensive to anyone. I have never seen South Park and don’t know the character Hanky. This is intented as a gag gift for people who own small dogs, and know what its like to be constintenly picking up dog poop. It has been used as a fund raiser for dog rescues, as well. Yarn, Yarn, and More Yarn !